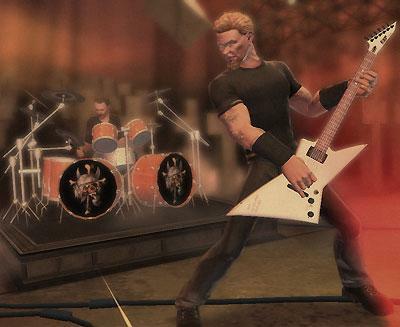 I doubt that people who plan to purchase the upcoming Guitar Hero Metallica are not fans of the band, but if they will get bored of James Hetfield and the company, they will get a breath of fresh air (to read: big bad rockers) by being allowed to play as other musicians, too. One of them, according to an official report on Metallica’s web page, will be Lemmy from Motorhead, who looks very lifelike with his cowboy boots and hat (as you can see in the two pictures below). 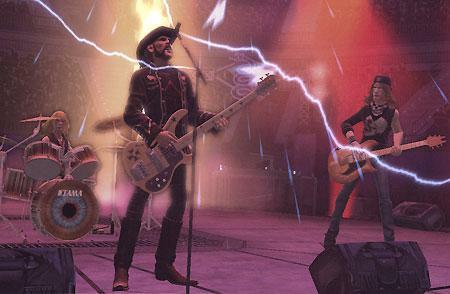 Lemmy said: “It’s great to be in Guitar Hero with all these famous people and I’m really pleased to be in it with Metallica…but James is still taller than me.” Big bad rockers have complexes, too, it appears.